Everyone is Irish on St. Patrick's day right? Yer'll get de lerk 'o thee Irish merkin des lil shermrocks... Ok maybe my accent is a little off but you get the idea. 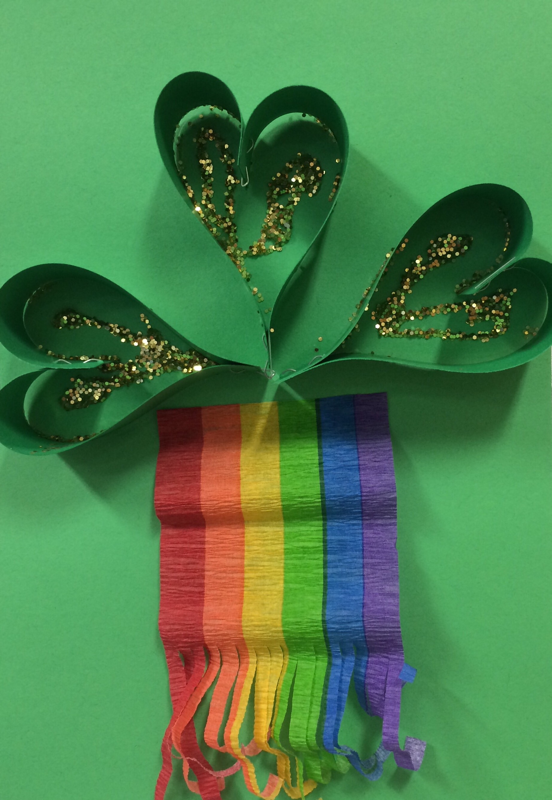 Celebrate the holiday with these fun three dimensional shamrocks to hang on you door, window or the refidgerator. The kids will love adding the glitter and rainbow to their project too! Step 1. Start by cutting strips of green cardstock at about 1/2"x6". Staple two strips together at one end then separate the two strips at the other end, flip around and staple together at the other end to create the "heart" shape. Step 2. Dip three green hearts into glue and press and hold onto your background paper in the shape of a shamrock. Add some glue and sprinkle on glitter. Step 3. 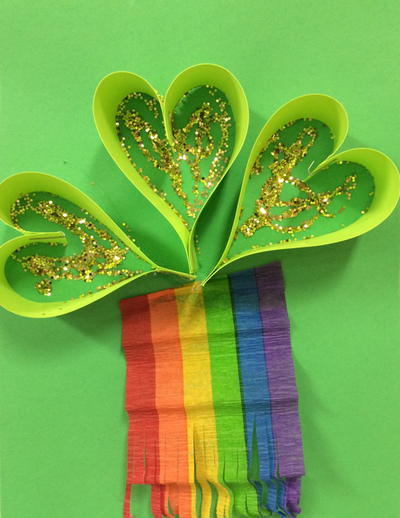 Cut a piece of rainbow streamer and make fringe with hand shredding scissors.